It is not all the time when someone who looks almost like a Korean celebrity greets you at the door. 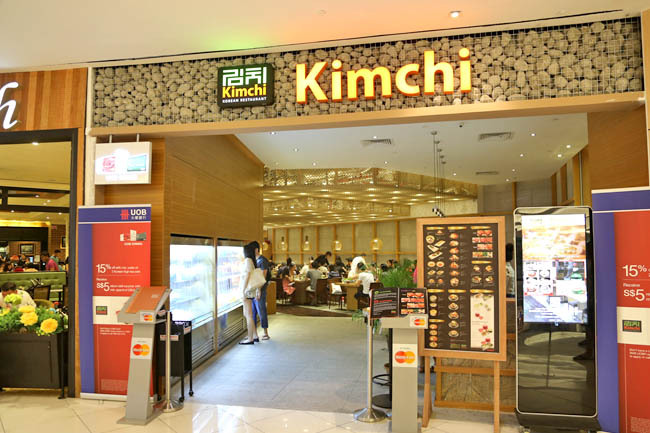 That is one of the reasons why a girl friend loves Kimchi Korean Restaurant at Suntec so much, “hun man!”, as she melts before the yuzu sorbet does. Before you dismiss him as another pretty boy with extra cash, he has actually put together quite a credible team. 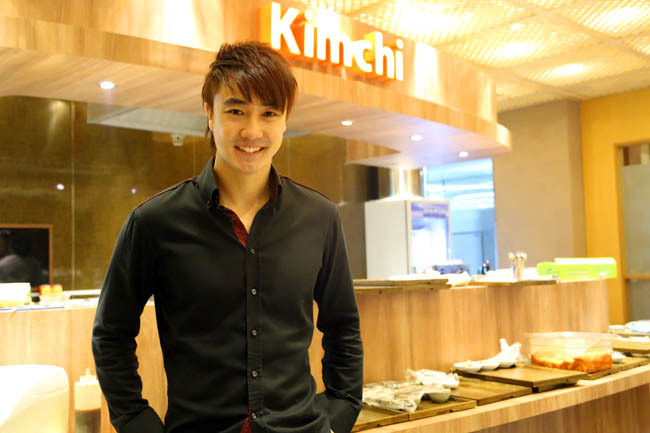 The Executive Chef Choi Minchul has experience in Ritz Carlton (South Korea, Naples USA) and Marina Bay Sands. 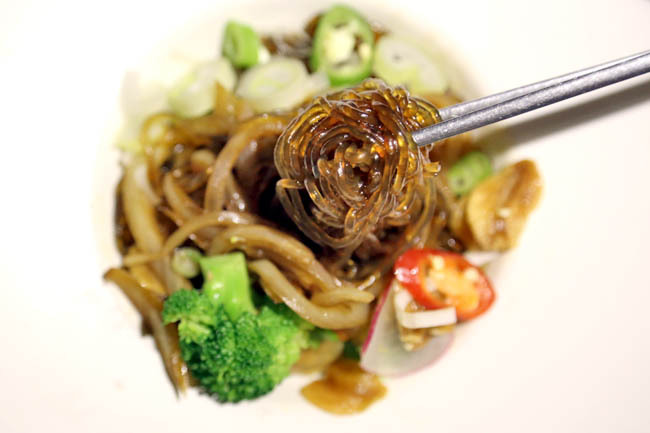 His style is to put together familiar Korean flavours from his hometown of Andong, while tailoring a menu with the local diner in mind. While the restaurant feels expensive on the outside, the menu reflects otherwise. Quite value-for-money. Among the recommendations, the Bean Curd Kimchi starter ($8.90), Sweet Potato Matang ($8.50), Kimchi Soup ($9.80), Spicy Pork Bulgogi ($12.50) and Ginseng Chicken Soup ($16.00). To note, Kimchi’s version has no rice contained in the chicken. 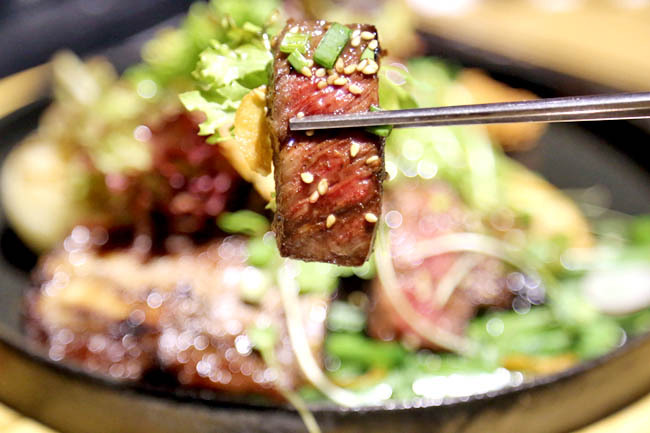 We were highly recommended the Kalbigui ($29.00), with wagyu beef short rib steak marinated in Korean kalbi sauce, with delicious complements of deep fried garlic, red chilli jeon, spring onions, served with a black raspberry soy bean sauce. The beef while lean had a good bite, pleasingly juicy with a sweet-salty marinate that doesn’t overpower. 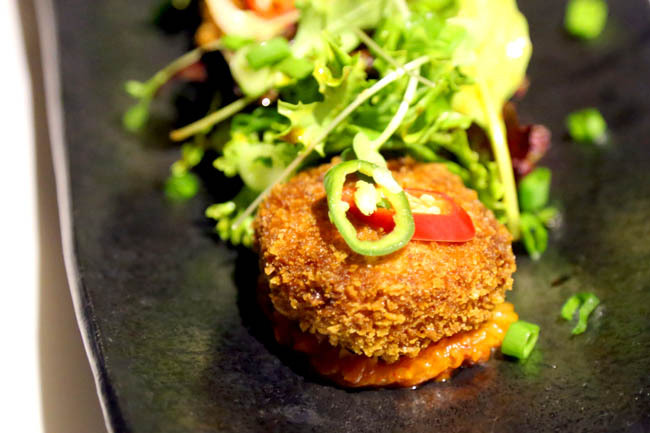 The sides such as red chilli jeon, turn out to be surprisingly tasty and provides the dish a variety of textures. I don’t normally order porridge in Korean restaurants. Usually they are watery or have this overly strong taste of ginseng. 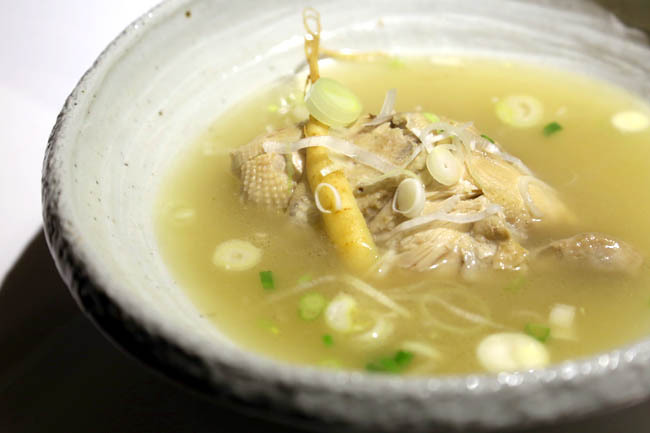 Kimchi’s Ginseng Chicken Juk ($12) feels like home-cooked comfort food, with a thick yet smooth texture. 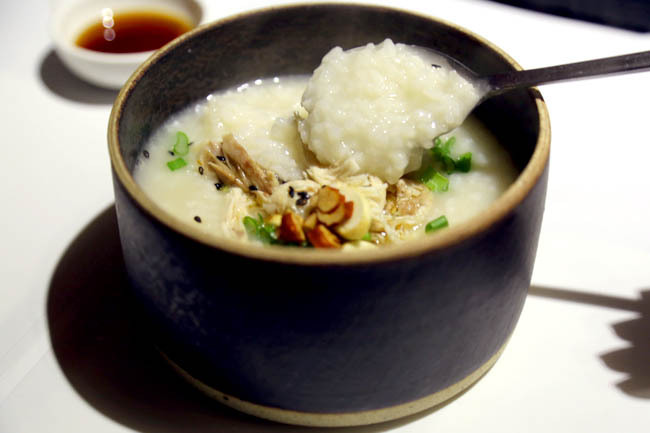 The chicken strips taste fresh, and the porridge simmered with chicken-stock, lingering in tastes of Korean ginseng and Chinese herbs such as dang gui, kamcho (Korean licorice) and red dates. There are more hits than misses. Perhaps the Yang Yeom Deep-Fried Chicken ($8.50) could come with thicker and juicier chunks, and Jap Chae ($6.90) could be saucier. There is no ban-chan offered if you must know, though kimchi is available at $1. Korean barbecue is also available. Built-in electric table grills are used without the emission of smoke, good for diners who dislike smelling like a barbequed meats. So other than the boss, rest assured there is enough food worth salivating for. 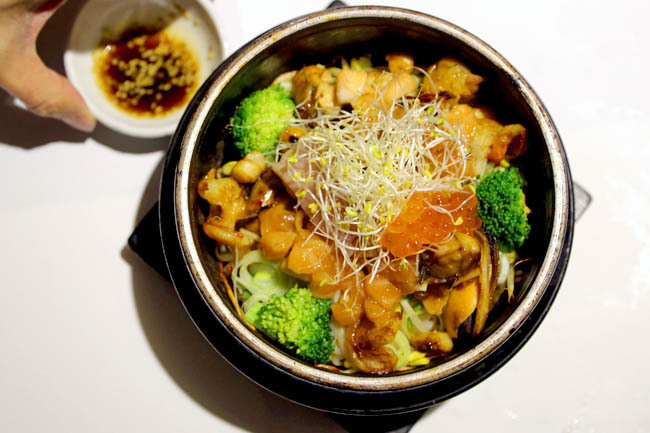 ← Yoogane Singapore – The Famous Korean Dakgalbi Comes To Bugis Junction!